Got an Apple, Mac or iOS tech question? We have the answer. 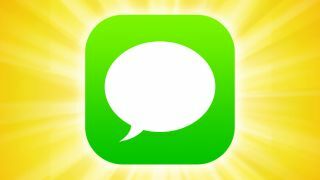 When it comes to iMessages and the iPhone Messages app, it should be a simple matter to change the phone number or email address that's associated with them. But in this article, we have a reader for whom the normal way isn't working. Here are the steps you can take to fix the problem. I'm trying to send iMessages from my iPhone 6, but when I do, it says they're coming from my iCloud email rather than my phone number. When I try to change it I can see my number, but I'm not able to click it or choose it. How can I fix this problem? 1. Open the Settings app and navigate to Messages. 2. Turn the iMessage switch off. 3. Power down the iPhone and wait at least 5-10 minutes. 4. Power on then iPhone and and re-enable iMessage by going to Settings > Messages and turning the iMessage switch to the on position. This should re-activate iMessage. The reason you turn off iMessage in step 2 is so that Apple can send the device an SMS-based activation, which happens in the background. Once iMessage has been turned on again, try selecting your device's phone number again in the "Send & Receive as" section of the Messages settings. Note that by default, the "You can be reached by iMessage at" section should automatically includes your phone number; however, the Start New Conversations From section will let you choose between your phone number or registered email addresses.